VELCO SPCC-Vermont Electric Power Company - DuBois & King, Inc.
DuBois & King provided SPCC planning for several substations and other facilities to inventory all oil containers and oil containing equipment and assess: applicability of regulations, local drainage conditions, and facility conformance with SPCC regulatory requirements. D&K staff prepared a field sketch at each location and CADD facility diagram showing the location and capacity of each regulated oil container, soil characteristics, anticipated direction of drainage flow if an oil release were to occur, access roads, security fencing, north arrow, drainage structures, secondary containment structures, surface water bodies, wetlands, adjoining land uses, and other pertinent features. Each site was identified on a roadmap to facilitate locating on a USGS map and to further assess potential drainage pathways. D&K developed narrative SPCC Plans for 32 substations, Pinnacle Ridge Road facility, Wenlock Service Center facility, and one mobile substation operation. Coordination with the owner included previously adopted spill response procedures, call lists, spill cleanup equipment, preferred spill response contractors, inspection protocols, security procedures, employee training programs, and other requirements. Firm engineers provided recommendations for modifications of systems and procedures not in conformance with SPCC regulatory requirements; conceptual design recommendations for new structures; identified modifications or upgrades required; and determined a schedule for completion of modifications and upgrades. Additional design services were provided relating to construction at Blissville, Tafts Corner (Williston), Highgate, St. Johnsbury, Irasburg, and New Haven. 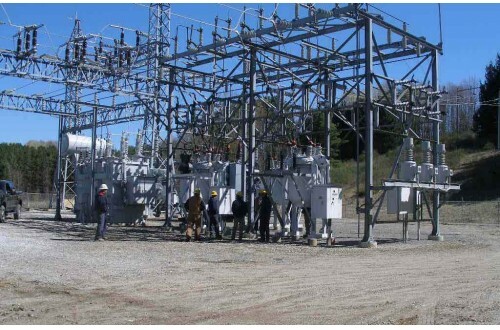 Where upgrades involve installation of new oil containing equipment, substantive changes to secondary containment structures, and/or modifications of site drainage patterns, D&K staff prepared revision to substation plans addressing that facility.